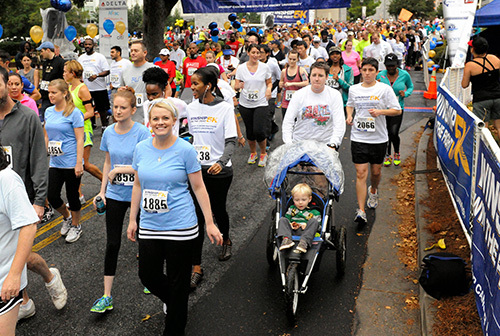 Runners and walkers will gather at Emory University on the morning of Saturday, October 1st for the 6th annual Winship Cancer Institute Win the Fight 5K walk/run event. Legendary Atlanta Braves Vice Chairman John Schuerholz will serve as grand marshal this year, and WSB-TV reporter Mark Winne will be the emcee for the fifth year in a row. On-line registration remains open until September 27th. Major corporate sponsors include Peach State Freightliner, Delta Air Lines, and Arrow Exterminators.